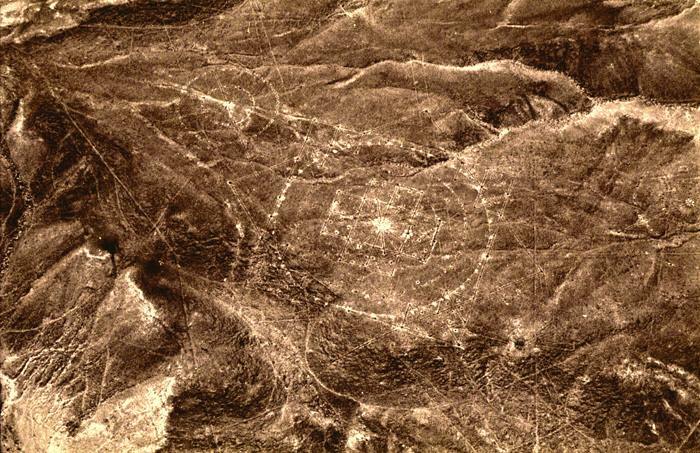 The Nazca Lines are a series of ancient geoglyphs located in the Nazca Desert in southern Peru. No one has proof as to who built them and what their function was. 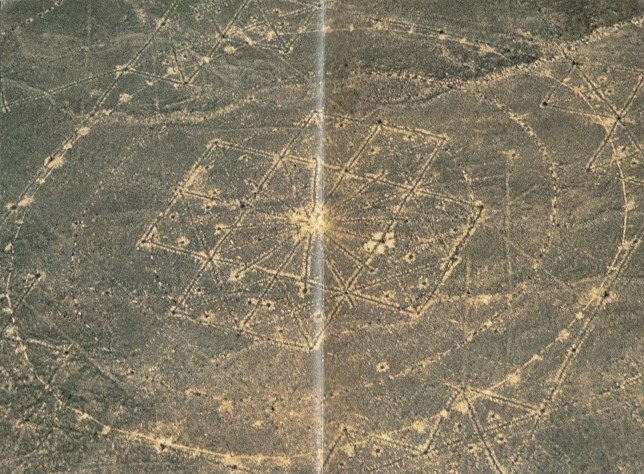 The geoglyphs depict living creatures, stylized plants and imaginary beings, as well as geometric figures several kilometers long. Perhaps more interesting than the figures of animals and the zig-zag lines is one unusual image known as the Mandala. 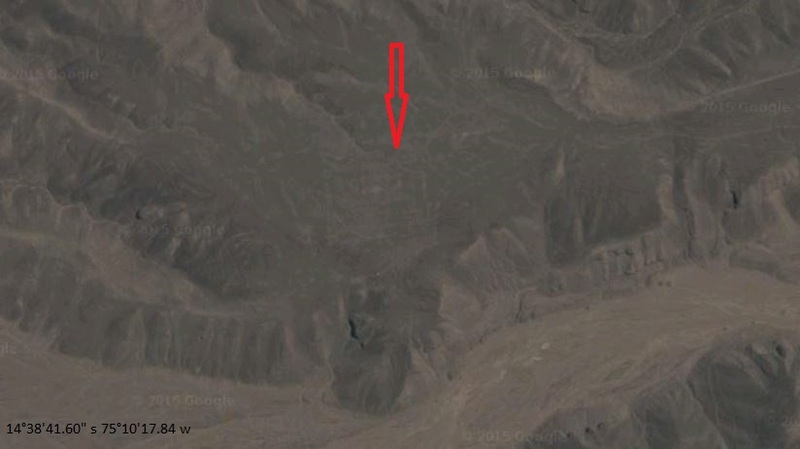 This image is extremely remote and sits atop an arid mountain plateau. Mandalas are circular designs symbolizing the notion that life is never ending. The Hindus were one of the first people to use a mandala as a spiritual tool, but the mandalas most individuals are familiar with, are ones made by Buddhists. The meaning of mandala comes from Sanskrit meaning “circle.” Even though it may be dominated by squares or triangles, a mandala has a concentric structure. The basic form of most mandalas is a square with four gates containing a circle with a center point. Each gate is in the general shape of a T. Mandalas often exhibit radial balance. The image appears to have been carved with exceptional precision. 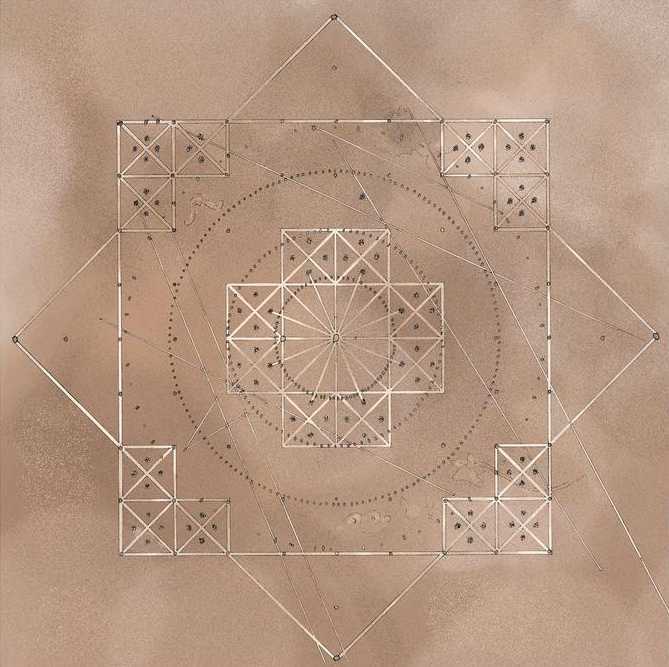 A large square measures 180 feet across while an inner circle spans the same diameter. Several smaller squares, about 20 feet wide, appear to have been etched in the landscape along with an assortment of strategically placed holes. Mandala is a spiritual and ritual symbol in Indian religions, representing the universe. Mandala represents wholeness, a cosmic diagram reminding us of our relation to infinity, extending beyond and within our bodies and minds. Many mandalas have spiritual significance to an individual or group of individuals. Thank you for sharing these amazing pictures and articles. Fascinating reading.